Local Milford on Sea children's author, Frederick Webb has updated his website. Click here to view. In the Happy Acorn club section, is the three 'R''s song and dance, a star jump for tiny tots, plus a song for them and their parents, educational fun that costs nothing. 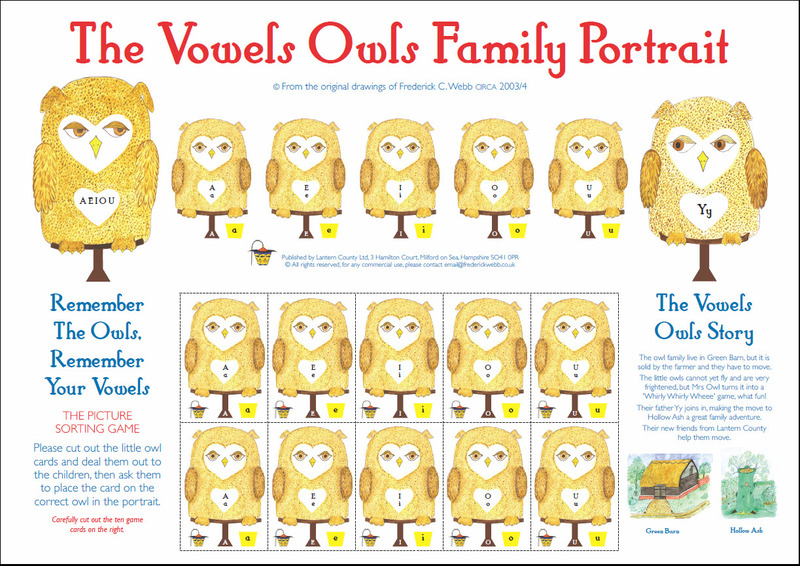 Also there is the 'Original Vowels Owls', a name Frederick introduced in the late nineties early 2000's. 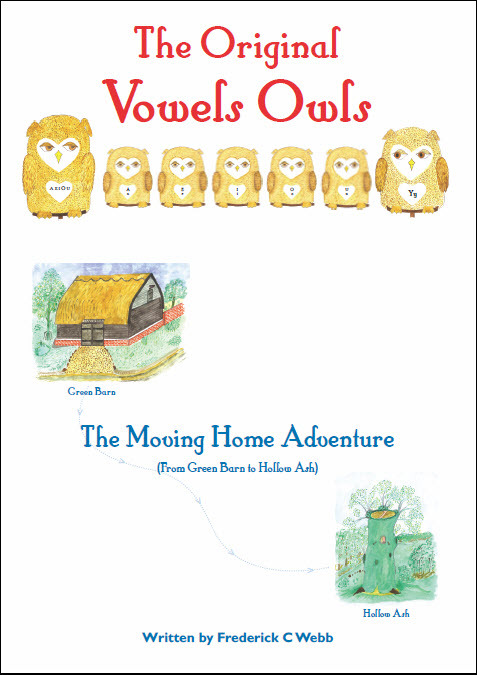 Vowels Owls is a moving home adventure and consists of a book and posters which is designed to help children read before they are five. Together cost £20 and are available through his website, as are other books in Frederick's 'Grow with Grit' series.